Battery slime causes trouble and reduces the life of your car’s battery. It can cause leaks, therefore leading to serious effects on your batteries. Maintaining the cleanliness of your batteries helps cut down on unnecessary costs that you may incur due to battery failure that may be caused by dirt. It is quite hard to clean car batteries if they have stayed for long without being cleaned. 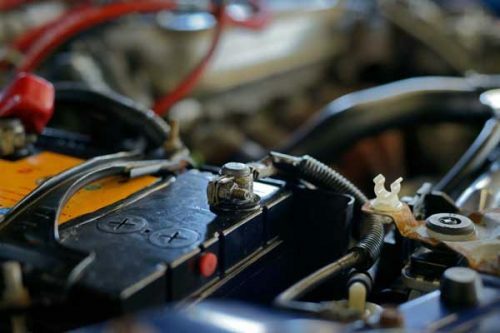 In this article, let’s talk about the cleaning process of car battery terminals. The vehicle’s auto battery is useful in allowing the car engine to start each time you move the vehicle’s keys. This is more of a reason why you should embrace correct battery cleaning methods, in order to get a perfect ride. The batteries also ensure extra power that is available especially during instances where power provided by the alternator is too deficient to meet developing commands. It also acts as electrical storage. Although batteries can't last forever, it is wise to have them in good shape all through. Factors that depend on the expectancy life of a car battery include; driving patterns, temperature, car’s charging battery speed, the extent of the discharge outcome and their cyclic life. We are therefore going to talk about how to clean car battery terminals. Although several components can be used to make the cleaning agent; why use only these two products? Well, here is the reason why; these two are the most recognized and recommended by many. These have been experimented and proved to be helpful and are the most convenient products that could be used. Therefore, add two to three water tablespoons to the same amount of baking soda. This will form a cleansing component. You can wear ‘cleaning clothes’ in the process just to avoid unnecessary spills and maintain your hygiene, then change later to the normal clothes. It all depends on your preferences. You will need some appliances to help you unfasten the nuts on top of the clamps. In this case, you need a wrench to do that. In some cases, the clamps might be stubborn and burdensome to remove due to excessive corrosion; pliers are necessary here. When you have managed to make the nuts loose; detach the marked negative clamp (-), then remove the positively labeled clamp (+). Note that when using the pliers or any other metallic tool; be cautious not to let it be in contact with the frame of the car or any metallic thing and the battery while working. This is because it can cause a shortage in the battery. This doesn’t mean that you must take off the batteries from the car to determine their state. You can just unlock the car’s hood and find the position where your batteries are, then examine them. If there are cracks on the battery case, it is high time you get the whole battery changed. Continue to the next procedure if they seem to be in good shape. It is quite easy to examine if they are okay to be proceeded on to the next step; just use your eyes. Corrosion could occur by white and ashy depositions on top of one or even both posts of the batteries. Open the lids slowly as they could be manufactured with plastic or rubber on the outer coverings of the batteries. You don’t want to break them yourself and have to incur more costs in buying others. If the battery terminals are damaged, you should just buy new ones even if it’s an expensive method. Being safe than ignore and then regret later is necessary. After you have confirmed that the battery clamps and cables look presentable and are of good shape, advance to the next stages of cleaning. You may wear gloves during the process, use a rag or an old or unused toothbrush to apply the baking soda mixture.However, it is recommended to use a toothbrush to spread the paste, as it makes it an easy process and saves time. Be careful not to mistake using your own toothbrush. However, you should be keen during the applying process so as not to spread the mixture to other parts of the car parts or even your clothes or body. The corrosion responds to the baking soda applied by forming lather and bubbles. The cleaning activity has just started. Carefully, scrape away the depositions found on the battery terminals. There may be large particles on the battery terminals after applying the magical baking soda paste. They need to be removed with the help of a butter knife. This works great for the cleaning job. When you have managed to remove the rough and big remains, you can use a wire brush or steel wool to eliminate particle remains. There may be other tools readily found in the store, but those two are highly advantageous in producing outstanding results. Make sure you wear gloves, especially those meant for dish washing during this process to avoid allergies to your skin due to getting directly in contact with harmful chemicals. The lather forming should by now have stopped. Ensure that you rinse the connections and that there aren’t any accumulations left on top. Water is the requirement in this process. It is the cleaning agent here. Be cautious to avoid the spillage of the baking soda inside the battery vents. This could pose adverse problems for the car batteries. The reason for this is that; baking soda is a base, and there is battery acid that will be neutralized by the baking soda when they come into contact with each other. The life and functioning capabilities of the battery could be shortened, not forgetting that it could also cause serious future problems. You can use a clean rag or piece of cloth to wipe off the water remains of the battery terminals. Apply something that can absorb water easily or that can’t be made wet on the terminals. Examples of grease used may be Teflon, Delrin, and Nylon. But why should you use only use hydrophobic products? Well, these are convenient in slowing down corrosion that may occur in future. Vaseline petroleum is however cheap and easily available for many. Put the positive (+) clamp on first. If a wrench is needed, don’t hesitate, use it in the process. Then fix the negative (-) clamp slowly. After fixing them both, you can put back the shield that could be in the form of rubber or plastic that covers the clamp or the terminal junction. And, you are done for the terminal cleaning job. Always be watchful while using water for different purposes when other electronic materials are around. You don’t want to get killed during the cleaning process. Car batteries should be marked as hazardous. They let out hydrogen gas during the time that they are charging or not charging; hence they can easily cause a fire. Frequently keep away from fire while handling a car’s battery. You should also ensure that you have gloves and an eye safety goggles at all times while dealing with corroded car battery terminals as they can easily burn you or destroy your eyes. Opening batteries is also a very dangerous mission as they carry powerful acids and bases that may seriously damage your skin. Let’s get some common queries answered in this section for better convenience of the cleaning process. 1. How frequently should you replace the battery of your vehicle? Three years is enough time for you to start thinking about how you are going to change your car batteries. Old batteries are almost useless, and they could cause troubles for you and your car. 2. What is the total distance to be considered for the car’s coverage before changing the car batteries? About 30,000 to 50,000 miles. 3. Should distilled water be used for my car batteries? Car batteries should be added with water that is distilled. Distilled water is easily bought at many shops. The strength inside the cells should be high. 4. How do I get the charging activity of my car back to its normal state? Adding the distilled water plus engaging a battery charger will be convenient for the recharging process of the batteries. You can also just drive your car normally to get the charging activity to its normal state. Car batteries are important parts among other car materials; therefore, we should take care and watch over them. The batteries depend on their terminals to perform. We should, therefore, value every car part as they are dependable and ensure they are clean and in good working conditions all the time. How to Fix a Radiator Leak on Your Own? How to Polish Aluminum Wheels to a Buff Shine? How to Siphon Gas out of a Car Easily? How to Gut a Catalytic Converter: How Hard It Is?